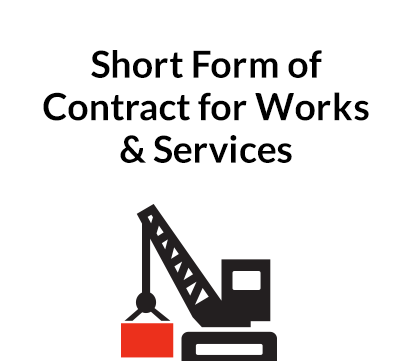 Designed for use by an electrician, this contract allows the user to detail the service they provide, their fees, and the terms governing their business. A general clause detailing notices, assignment, the scope of the agreement, amendment, warranties and severance. 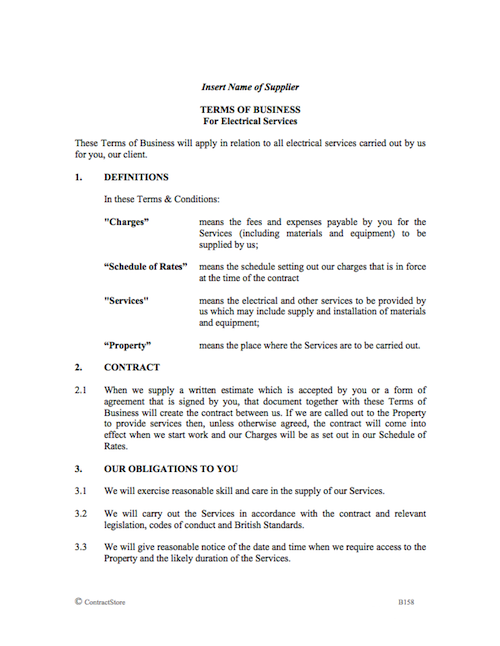 You need this document if you work as an electrician, and want a straight-forward contract for use with your clients. 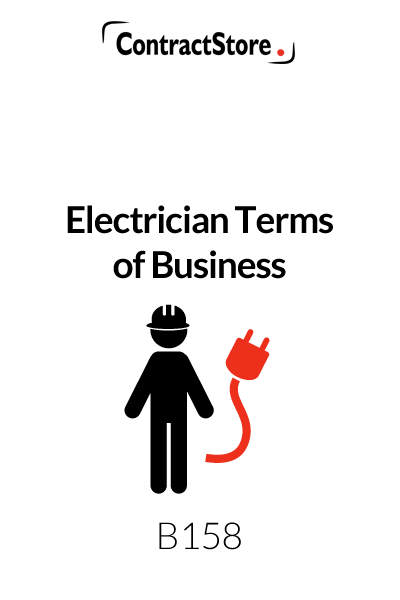 These Terms of Business are designed for use by an electrician. They are in plain English and written from a practical point of view as a template for any company or sole trader who is engaged in the business of providing electrical services. The Form of Agreement is intended for use mainly when an estimate is required before the work starts. It needs to be completed by the company and given or sent to the client for acceptance with the Terms of Business and Schedule of Rates. If the client wants to change anything in the Form of Agreement, it may be necessary to have another one drawn up and signed, incorporating the changes. 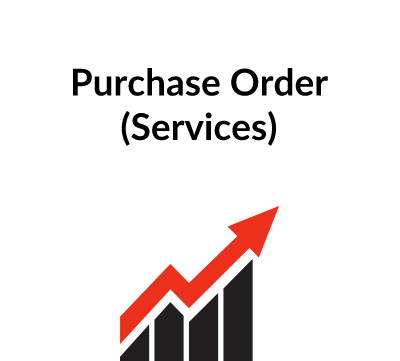 We have also included some documentation and wording for use when the services are being provided to a consumer – ie a domestic customer – and the Consumer Contracts Regulations apply. In those cases it is a legal requirement that the client has a 14 day ‘cooling off’ period unless he waives this in writing and the consumer should be given a form of cancellation notice. Our free document Z171 contains guidance on the regulations with a link to the Government website. This explains how the contract comes into existence. 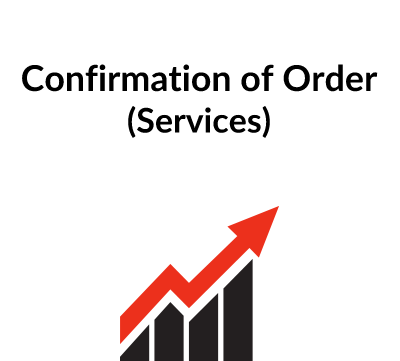 It deals with a situation where an estimate or form of agreement is provided to the client as well as where the electrician is called out to do a job right away. The company has basic obligations to exercise reasonable skill and care, and provide services as agreed between the company and the client. If the work includes supply and installation of new equipment – e.g. a new lighting system, this is also referred to so the company can substitute an alternative if the agreed equipment is not available. This sets out items of work that are excluded. This will vary depending on your particular approach. In our template we exclude clearing away furniture etc., building work and redecoration (e.g. if wiring has to be taken through walls) and, as an option, removal of debris. Ownership of all equipment supplied by the company is retained by the company until everything has been paid for, but risk of loss or damage passes to the client when equipment is delivered to the site. The company’s liability in the event of any property damage is limited. Under 10.3 the company is responsible for fixing defects for a specified period after the work is completed: this could be 6 months or more or less: it is up to you to insert the appropriate period. When there is a manufacturer’s warranty for equipment that has been installed – e.g. a new sound system- the company will give the client the benefit of this and it is then for the client to deal with the manufacturer if a defect appears. This gives the company party the right to terminate the contract if the client fails to pay or commits another breach of the Contract. Either party may terminate the contract if the other party becomes insolvent. The financial consequences of termination are covered, with particular reference to amounts due to the company.